Life Through My Eyes: Introducing New Pampers Baby- Dry! New Pampers Baby-Dry are also been BritMums Bloggers Approved, Mumsnet Rated, Mother & Baby Tried and Tested and 90% of Netmums mums would recommend New Pampers Baby-Dry. With New Pampers Baby-Dry working as hard as possible, you’re LO can say goodbye to wet bulky nappy and hello to a dry night’s sleep. To celebrate the launch of New Pampers Baby-Dry, Pampers are working with baby sleep expert Jo Tantum - who is a member of the Pampers Love, Sleep & Play panel and has 25 years’ experience helping hundreds of families to achieve a peaceful night’s sleep! Jo has identified 5 sleep typologies that may help you to understand your baby’s sleep habits and needs better - so, is your little one a Starfish, Skylark, Sloth, Owl or Meerkat sleeper? Take a look and let me know using #PampersBabyDry! * This is when your baby sleeps in the same position, on their back with legs and arms out. They also wake up often and regularly, but they don’t go back to sleep easily after you intervene with a sleep prop – which they need to get to sleep! * These are the babies that wake up early in the morning, singing and shouting, and refuse to go back to sleep whatever you try! * These little ones love sleep and can sleep anywhere and everywhere - lucky you! But what happens when they wake up? You will know it’s going to be for a growth or developmental spurt or they are teething or not well. * This is when your baby goes to bed late and then wakes up in the night. They’re wide awake for long periods and can’t get back to sleep! * They stand up, move around trying to get comfortable all night and they don’t want to sleep. They’re late to bed and early to rise. 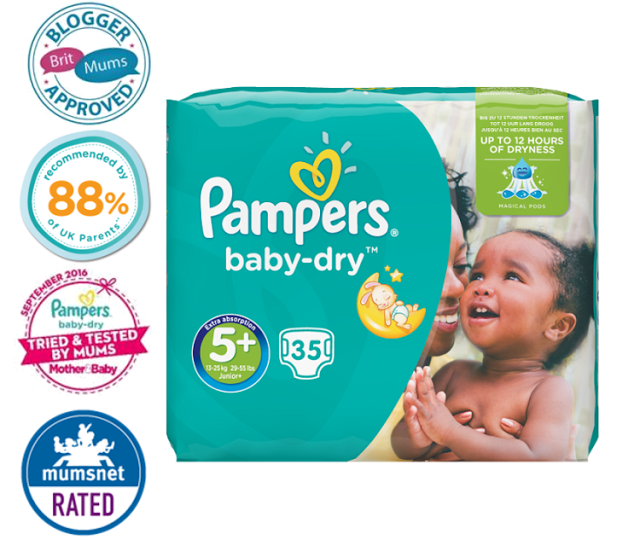 If you’d like to try New Pampers Baby-Dry, you can visit http://www.pampers.co.uk/offers-pages/samples-on-demand to claim your free sample.